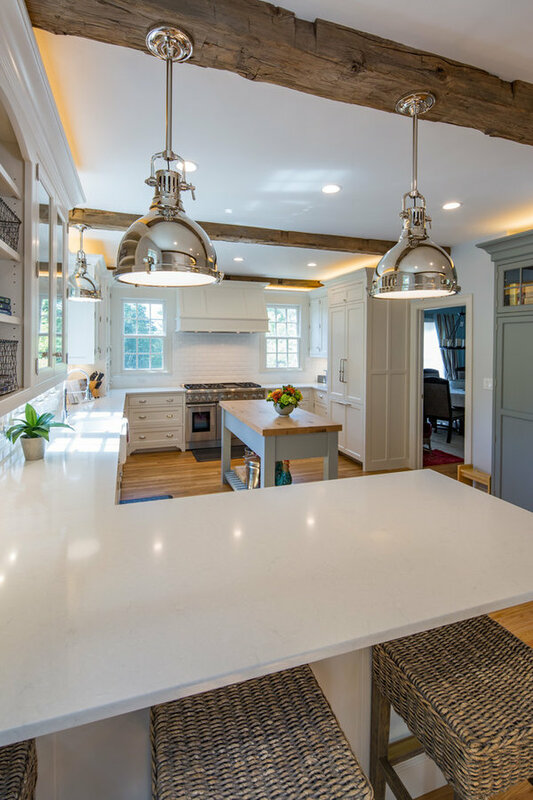 By eliminating a small hallway and closet we were able to open up the floor plan for this family kitchen. 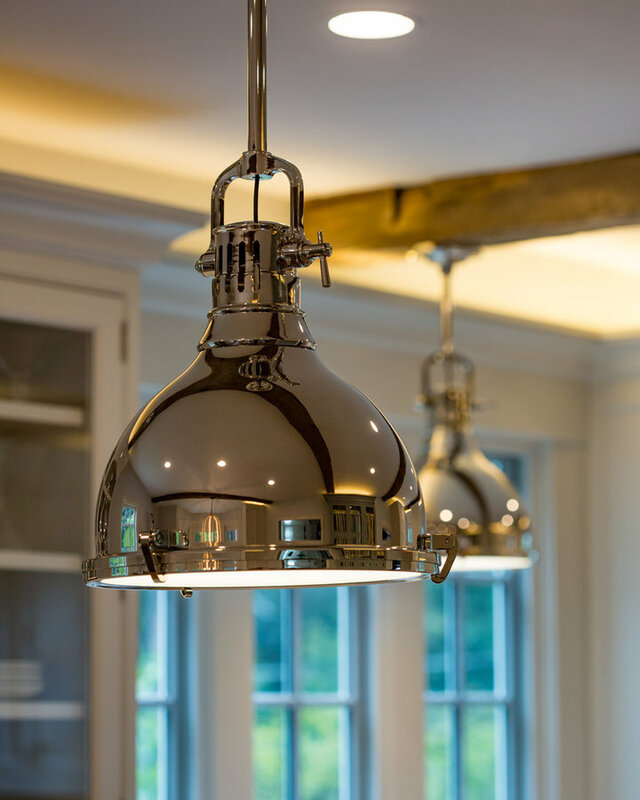 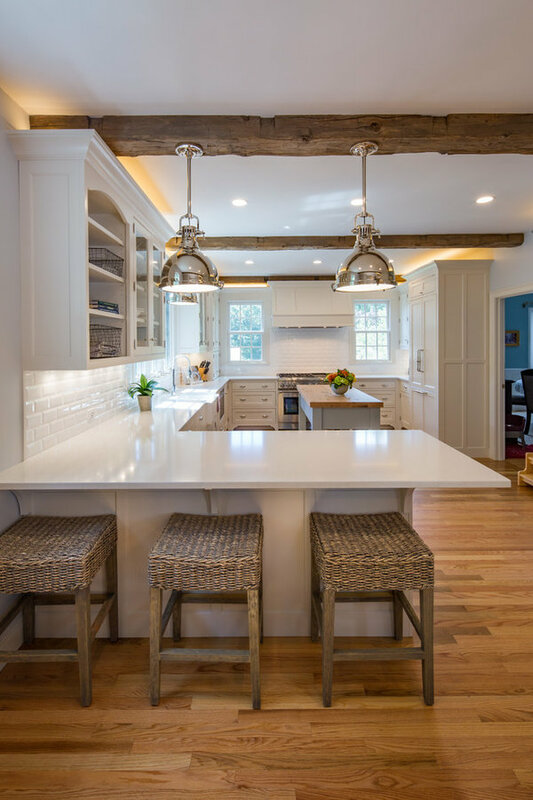 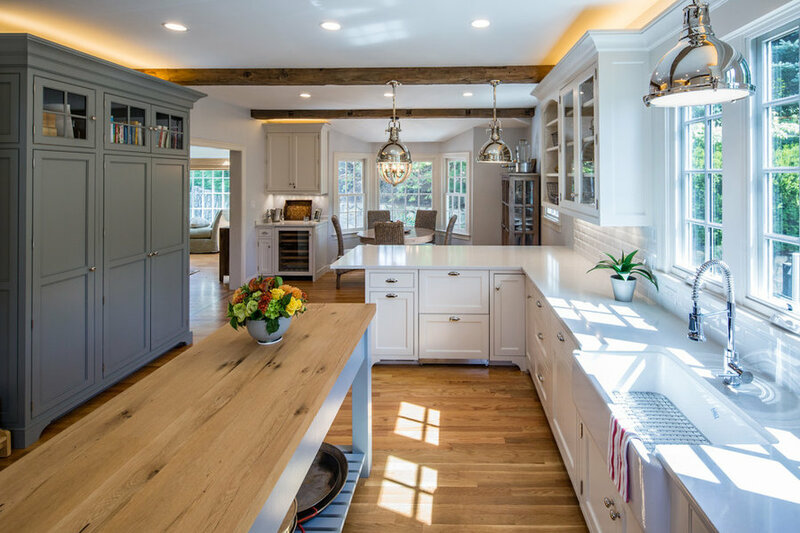 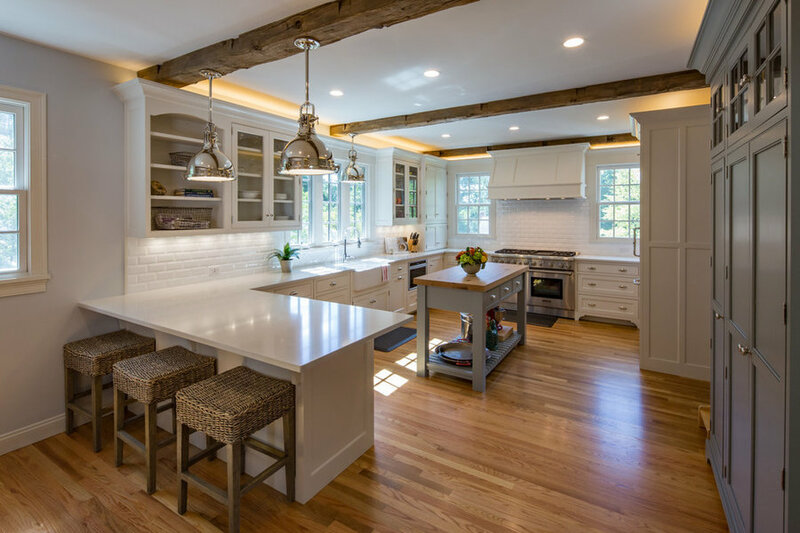 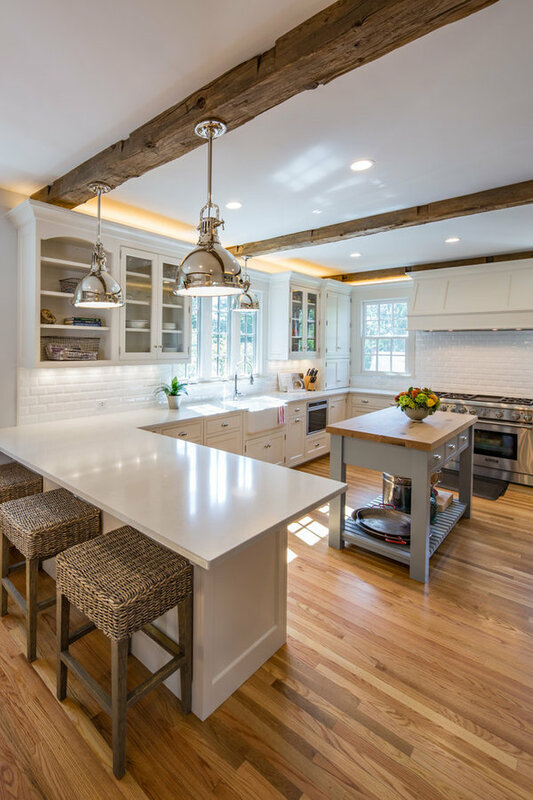 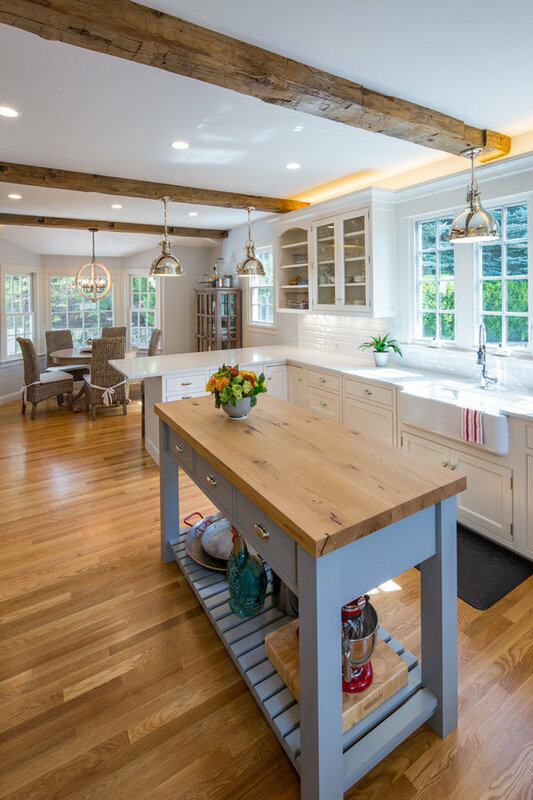 The reclaimed wood beams on the ceiling and the farm table top are some of my favorite featured on this project. 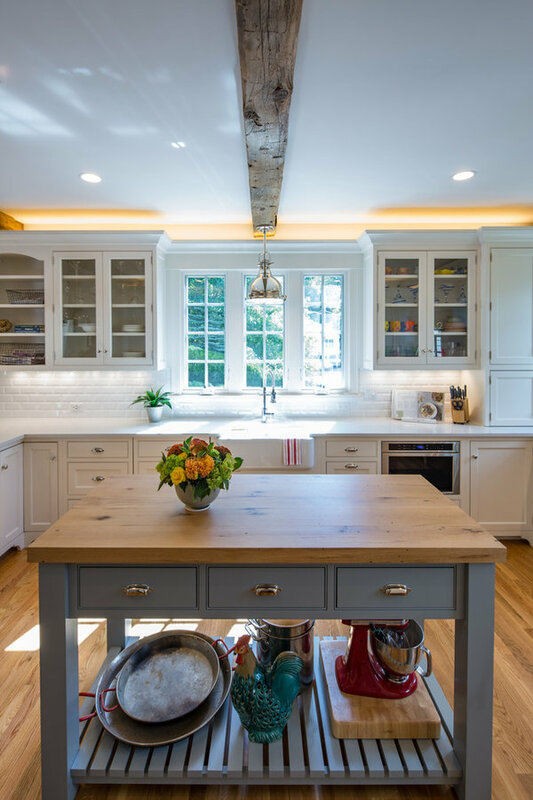 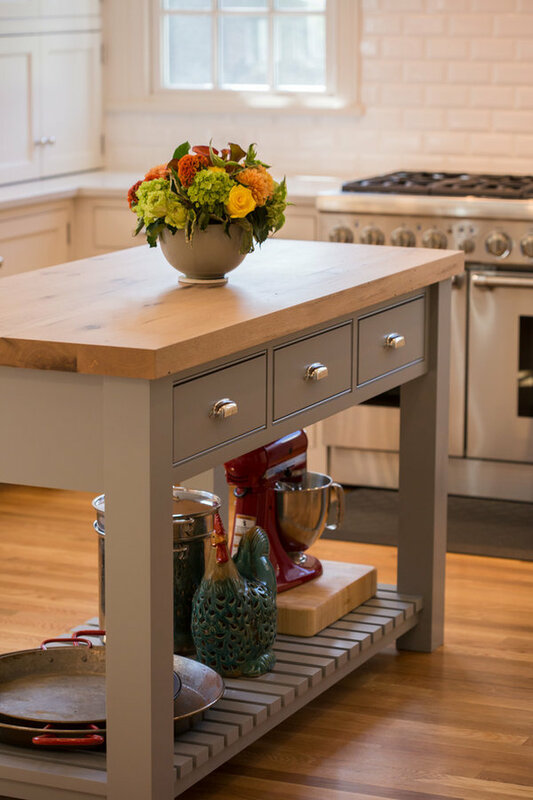 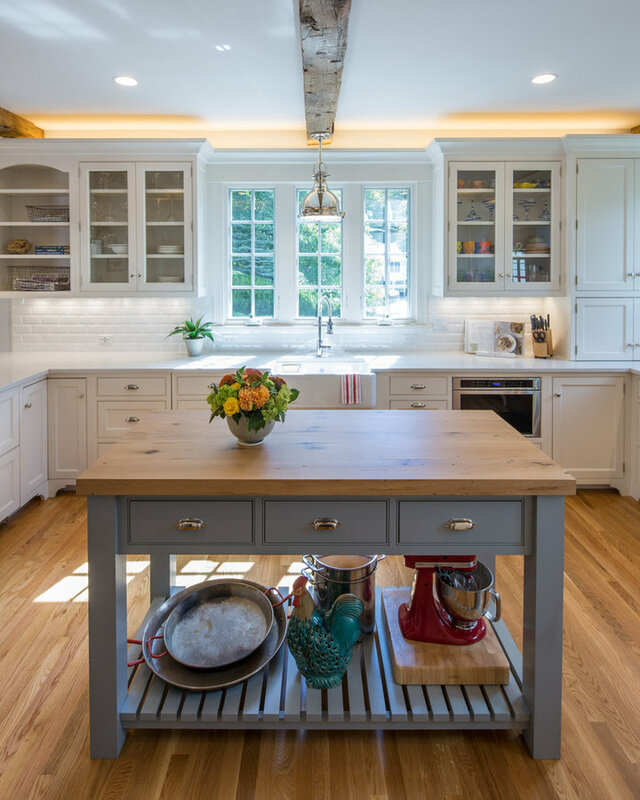 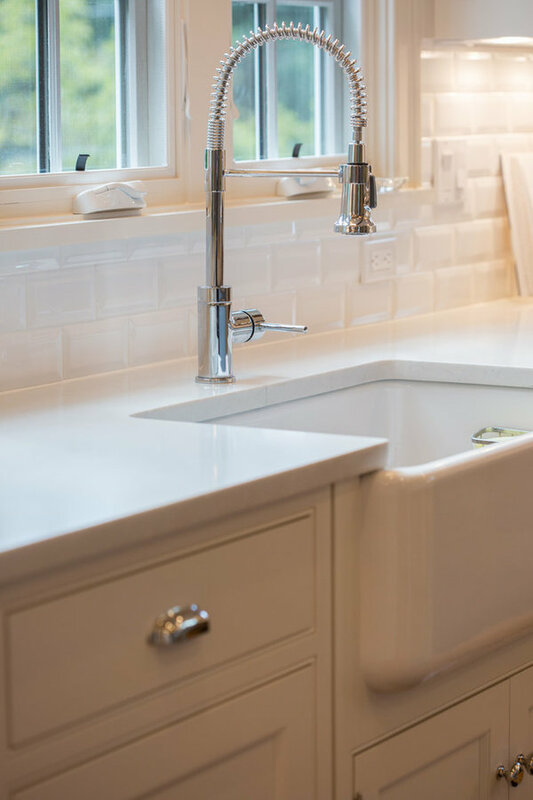 The beaded face frame cabinets and farm sink complete the look!